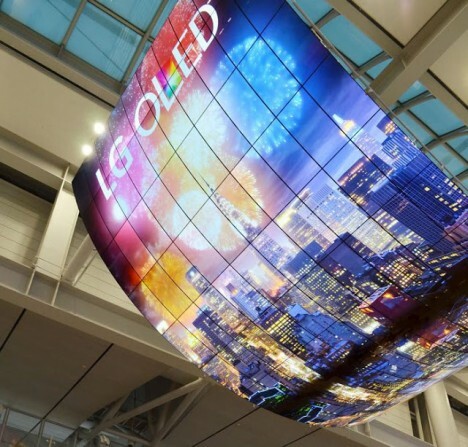 Watch as LG reps curve and bend screens ranging from tiny to huge, sticking TVs to walls with magnets and contorting mobile displays well past what one expects to be their breaking point. The screens use thin-film transistor back planes to individually activate pixels on the screen, adding virtually no thickness to the construction. Next time you go to a friend’s house to watch a game, consider this: you may soon be able to roll up your big-screen television (or monitor), bring it along and attach it to their wall. The company is also developing batteries that bend – combining the technology could prove incredibly powerful for wearables and other portable devices. See more in Audio & TV or under Gadgets. December, 2015.